Embassy Judo Club - Tokyo, Japan - New Members Always Welcome! Judo helps children develop balance and strength, build agility and confidence, plus discover the importance of etiquette. Classes focus on physical exercise and effecient self-defense. Join us and make new friends, get into shape, and discover more about Japanese traditonal culture. 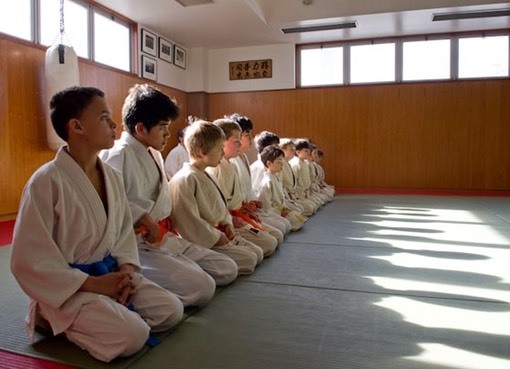 Founded in 1957, the Embassy Judo Club is dedicated to providing a family oriented environment where members of the international community in Tokyo can discover unique aspects of Japanese culture, enjoy staying fit, and learn practical self-defense skills. Judo is both a martial art and an Olympic sport that focuses on throwing and grappling techniques. Practice comprises both kata (pre-arranged forms) and randori (sparring). The freedom of randori allows for great flexibility of movement when applying a full range of techniques that include throwing, pins, joint locks, and chokes. There is no better martial art for developing overall strength and balance. Nihon Jujutsu is a modern Japanese martial art that focuses on practical, efficient techniques as originally found in both ancient and contemporary martial arts. 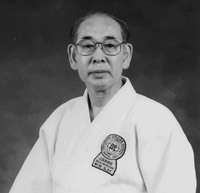 Its principles and techniques derive from Japanese unarmed combat and self-defense methods from pre-1945 judo and aikibujutsu, as well as taihojutsu (Japanese police immobilization and arresting methods). Jujutsu - the Mother of Traditional Japanese Martial Arts, comprises a range of ancients styles which collectively formed the basis of judo, aikido, hapkido, Brazilian jujitsu, and other popular contemporary martial arts. Japanese jujutsu is considered the mother of traditional Japanese martial arts, and employs many of the same principles as aikido. Like the striking arts karate and kung-fu, jujutsu teaches the effective use of striking methods, as well as the use of vital points as targets in self-defense. Jujutsu also incorporates weapons practice; the tanbo (short baton), and jo, (medium length staff), as well as defense against such weapons as a knife, and pistol. Nihon Jujutsu also contains techniques found in a variety of martial arts such as aikido, bagua, hsingi, iaido, jujitsu, judo, kali, karate, kendo, kickboxing, kung-fu, san chuan dao, taekwondo, and tai chi. New Members Always Welcome Contact us Today!